Holy name story: My secret is out! There was a king who had a very devoted queen. The queen was very religious and always spending her time in devotional activities, such as worship, kīrtana and hearing recitations of devotional literature. Her only sadness was her husband never participated in her activities, despite supporting and facilitating them. He would not even utter the name of Kṛṣṇa. The queen tried to convince him to chant, but the king would not comply. He would just smile and go away. 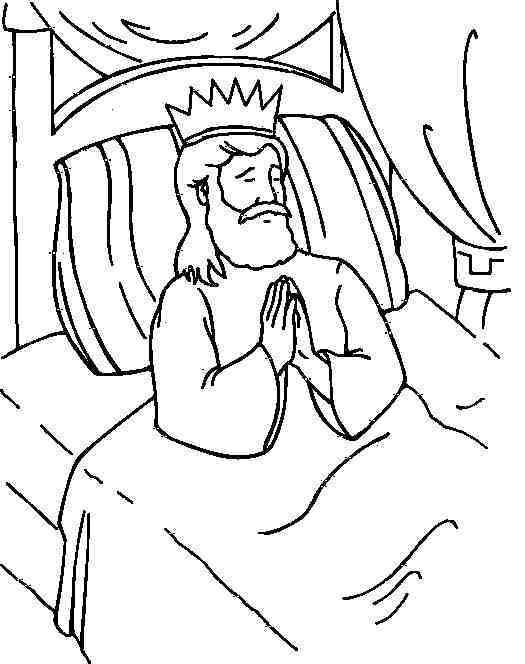 Many years passed like this, and the queen was unsuccessful in convincing the king to join her in devotional activities. This made her very sad. One day in the morning, the king noticed that the queen was very happy and jovial. She was buzzing around and ordering the employees of the palace to decorate the whole palace. She ordered the cooks to prepare a big feast, and the musicians to come and sing. The king thought that it must be some festival, but he could not think of any famous festival. He asked the queen why she was preparing all these festivities. The queen replied that it was the biggest festival day of her life. She said that her wish has been granted. This made the king even more curious. Finally, she revealed that, at night during his sleep, he had recited the name of Kṛṣṇa – to her great delight. Keeping these sacred things secret does not mean one never teaches other people about Kṛṣṇa,bhakti, and so on. The Gosvāmīs wrote many books, for example, and Śrī Jīva sent Narottama dāsa Ṭhākura and others out from Vṛīndavana to Gauḍadeśa to spread Śrī Caitanya’s school. But even then, we should be careful to only teach those who are deserving. Even while teaching deserving people, we should be on guard not to unnecessarily reveal our own mantra, guru, specific aspirations, specific practices, or specific realizations – for this will very likely ruin those things. 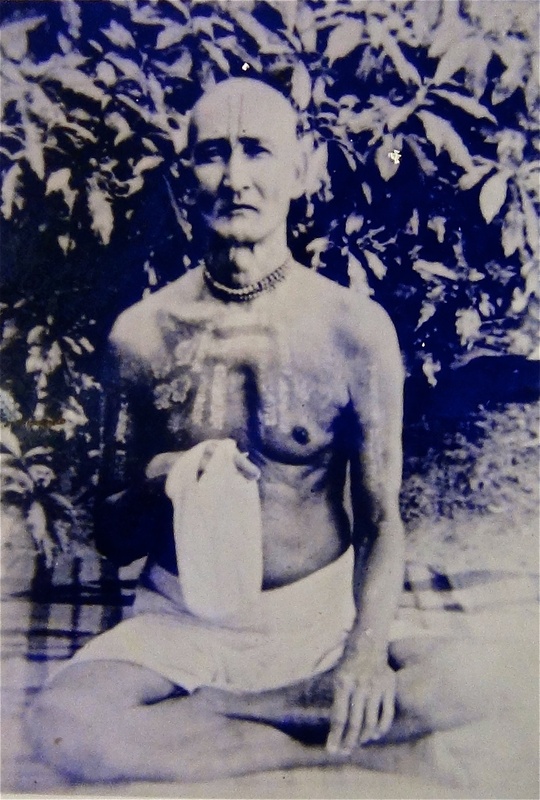 The following article is an extract from Bhakti Sandarbha Text 339 by Jīva Gosvāmī (the second to last text of Bhakti Sandarbha), with commentary of Babaji Satyanarayana Dasa. The path of devotion has thus been outlined in this book. If, by the mercy bestowed by guru or Bhagavān, one has realized some confidential truth regarding the practice or the goal of devotion, and has thus incorporated it into one’s very existence, this should not be disclosed to anybody. Śrī Jīva Gosvāmī brings his discussion on bhakti to a close with an important advice. This advice is especially important in modern times where we like to advertise everything about ourselves. Today, nothing is a secret. If we apply for a job, for example, we need to write about each of our achievements to impress the would-be employer. We must praise ourselves and possibly even exaggerate our achievements. In Vedic culture it was considered impolite to speak about oneself. To praise oneself was thought of as a way to lose one’s piety, to lose the merit of one’s achievements. Today, however, self-praise is a compulsive art. One’s success depends not only on one’s qualifications but also on how well one can present oneself. One can even get consultancy in this art. Even if you want to keep something secret, this age of information technology makes it difficult. Anyone may be watching and recording your actions. There may be hidden cameras around, or someone spying on you from afar. Whatever you write, say or do, may be made available to millions without your notice or consent. In any case, it may be necessary to flash one’s credentials in empirical life, but as for spiritual realizations, one should keep these to oneself. Indeed, one meaning of the word mantra is, “that which is kept secret.” Hari Bhakti-vilāsa (1.147) advises: “One should keep one’s worshipable deity, one‘s guru, one’s dīkṣā mantra and one’s japa mālā secret.” Similar advice is given throughout Hari Bhakti-vilāsa. Śrī Jīva Gosvāmī says that one should keep one’s sādhana and sādhya secret. It is important to know this principle because at present most people are not aware of it, due to the nature of modern culture. Why should one’s mantra, guru, deity and mālā be kept secret? One reason is that one’s spiritual success very much depends upon śraddhā (faith) in one’s guru,mantra, deity and process. In the Gītā, Śrī Kṛṣṇa says that a person endowed with faith attains knowledge (4.39) and one devoid of it is lost (4.40). If we reveal our mantra and so on to others, we run the risk of losing faith in them, due to the remarks of people who are not following any spiritual path or who follow another path. Such people may deride and minimize the process and goal of asādhaka, and may do so with various arguments that the sādhaka may be unable to refute. Thus the sādhaka acquires doubts, or exacerbates some previously small doubt within himself. Those who follow some other path, such as the path of jñāna, may even cite scriptures to prove their point, severely weakening one’s śraddhā. Another reason is that freely sharing one’s mantra and so on can make it seem less special. A further reason is that telling others about oneself can make one feel proud of one’s own mantra, process or progress. This pride gives rise to arguments, which gives rise to disrespect and offence. 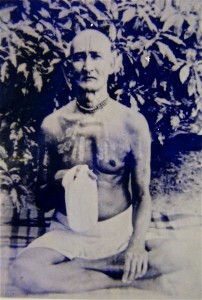 Indeed, Śrī Viśvanātha Cakravartī says that one of the four types of anartha arises from bhakti itself. This can begin by revealing one’s practice or progress to others. If they become impressed, they may honor us, which can easily lead to a fall-down from bhakti’s essential humility. Pañcatantra (5.96) says: “One’s success related to a mantra, holy place, brāhmaṇa, deity, astrologer, doctor, and guru is in accordance with one’s faith in them” (mantre tīrthe dvije deve daivajñe bheṣje gurau yādṛśī bhāvanā yasya siddhir bahavati tādṛśī). 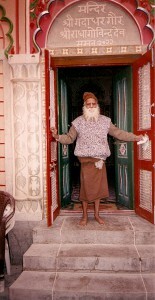 One’s success depends on one’s faith in one’s mantra, guru,and deity, therefore one needs to protect it by all means. In the past, people used to keep their wealth and treasures hidden somewhere in the house, similarly we should keep our spiritual practice a secret. If one has some experience, one should not reveal it to others except to one’s guru.